The information you are about to explore is stored in “the cloud”. Over 8GB of data is available. You may use it for research and educational purposes but NOT for comercial intent without express written permission from the owners. 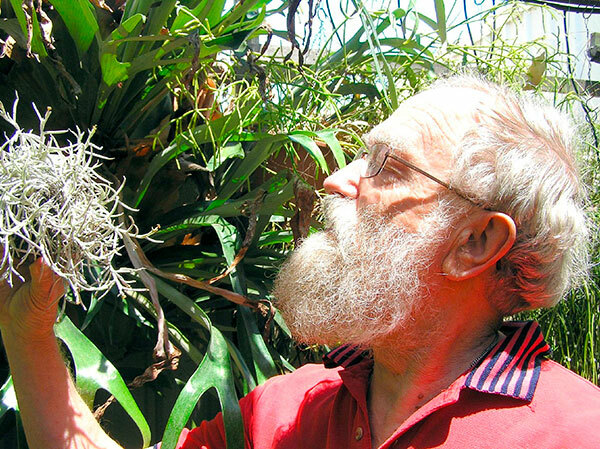 Derek Butcher, of Adelaide, Australia, started in 1976 as a self professed “quasi-botanist,” working to unravel the intricacies of Bromeliacae. He is well known in Australia for his book, “An Amateur’s Guide to the Greyish Leaved TILLANDSIOIDEAE” to help interpret his favorite genus, and his checklist to keep order in the hybrids produced in his country. 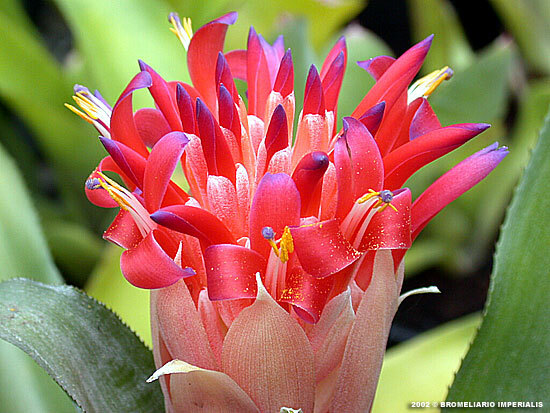 From 1998 to 2008, Derek operated the “Cultivar Register” for the Bromeliad Society International (BSI) and loves nothing better than the challenge of piecing together “the story” behind any Bromeliad. 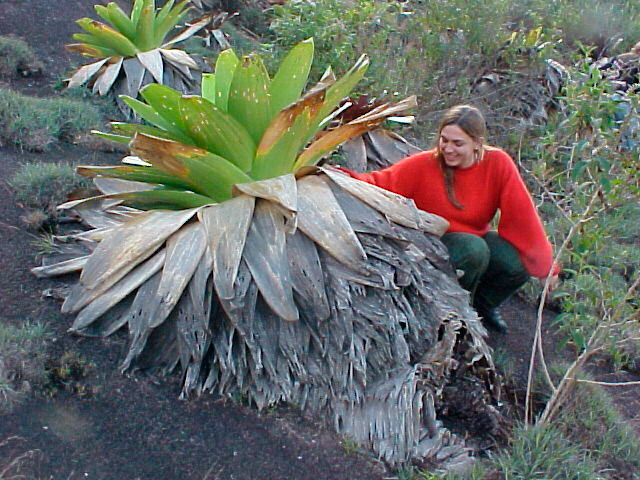 Says Derek: “1998 was when I really started transferring all my hard copy of Bromeliaceae data to my computer because I could easily share it with others. Nobody was likely to want the hard copy anyway even if it were mentioned in my Will! As more and more information was made available by educational institutions on the internet this was checked and added to my files. The information gathered is too large to even consider publishing in book form. Just as others have freely given their information for educational purposes so too I hope others who refer to the data given here will be used for educational and NOT commercial purposes.” Let us honor his request and make good use of his generous contribution. I will soon upload more files covering other genera. Possui graduação em Ciências Biológicas pela Universidade Federal de Juiz de Fora (1994), mestrado em Ciências Biológicas (Botânica) pela Universidade de São Paulo (1997) e doutorado em Ciências Biológicas (Botânica) também pela Universidade de São Paulo (2001) . Atualmente é pesquisadora do Jardim Botânico do Rio de Janeiro, curadora do herbário RB, coordenadora do projeto Reflora-JBRJ e da Lista de Espécies da Flora do Brasil. Tem experiência na área de Botânica, com ênfase em Sistemática de Angiospermas, Conservação, Inventários Florísticos e estudos evolutivos em Bromeliaceae, especialmente em áreas de vegetação campestre e inselbergues.